Think like a World Champion! Magnus Carlsen, current World Champion (after winning the challenge to Vishy Anand in Nov. 2013 for the throne of FIDE World Chess Champion) has a very deep positional style of play with very accurate endgame ability. Also, Carlsen has experimented with so many new openings at the topmost levels and taken the game to his analysis area and won. Even the inferior positions coming out of not so strong openings have been defended very well by Carlsen and won or drawn at the end. As a young player, the first book read by Magnus Carlsen is said to be "Find The Plan" by Bent Larsen. This book is an open ended chess thought book. It gives positions, author gives his views and then tells reader to think more. Carlsen is said to have spent hours with the positions in this book. May be this advise has prepared Carlsen to find a win in the positions declared as dead drawn or even lost previously. Originality of analysis and planning has been the main strength of Carlsen which has made him reach and retain the top position in FIDE chess rating list at such young age. Carlsen System of chess thinking can be described like this. Suppose you are playing at club level at short time controls like Blitz or Bullet games. There will be ameture players making so many tactical mistakes and you will keep winning game after game (If you are stronger player). Then if you are playing at classical time control at state or national level, then players will not make much tactical blunders but they will commit positional mistakes and by exploiting their positional judgement errors you will win. But if you are playing at International Levels (IM or GM level), then your opponents will not make any obvious tactical or positional error and you will have to exploit very minute and insignificant positional or tactical mistakes and win the game and at the same time you will need to avoid any such opportunity for your opponent. And then if you are fighting for the throne of World Championship, then your opponent is the World Champion himself and to win it you will have to create opportunities for yourself through very long well prepared positional maneuvers. Thats what Carlsen did recently in November 2013 and succeded. The decisive games were all thought to be drawn by experts world over but Carlsen created a winning opportunity for himself by long maneuvers and exploiting very small errors by the opponent. It also looks that Carlsen has studied the play by software like Houdini or Rybka very closely as it has been reported that his moves match with the first choice of these software very closely (It has become Carlsen's natural ability to reach this level of perfection). One more thing we could observe that Houdini and Rybka also take the game to draw position against strong software and then through long maneuvers create an opportunity to win for themselves. So, Carlsen has a similarity with these software in this regard. Ahead Incorporations: Just Go Ahead! 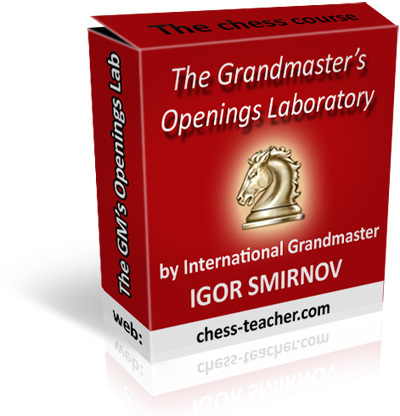 A brief review of GM Igor Smirnov's Courses ! As so many people have asked for it, let us provide a brief review of only paid courses. 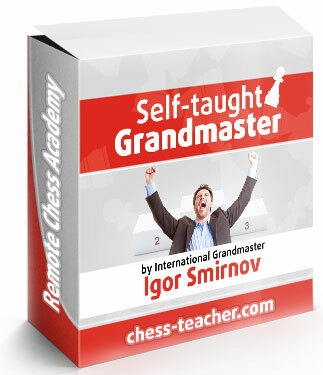 We have purchased all the GM Igor Smirnov's courses and watched all his videos. He has presented a different logical thinking system of his own in chess, most of which is not there in present books or other videos. Mostly, he focuses on strategy part, though many examples he presents are highly tactical in nature and a pleasure to watch. 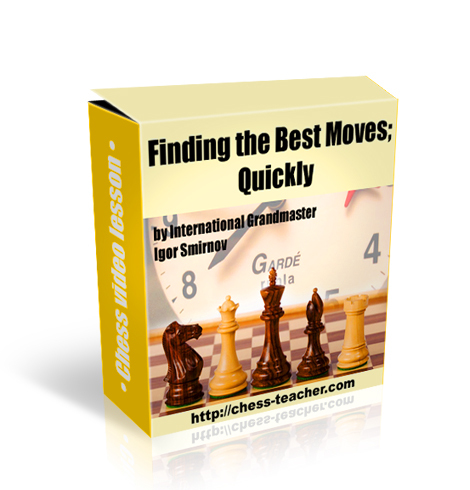 He assumes that the tactics will be learnt by the player himself from these examples or very good software like Chessimo (previously Personal Chess Trainer) or Tactics Trainer (at chess.com) are available. 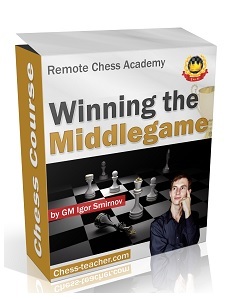 Though many books also provide chess thinking methodologies but those are very difficult to be applied in a practical tournament game but GM Igor's all methods are quite simple and clear to be applied practically on board in tournament games. 1. GM secrets : This discusses a basic thinking methodology a GM/ IM applies. 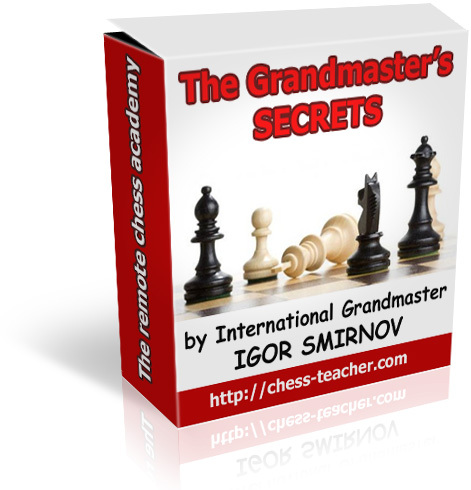 This course is the foundation of GM Igor Smirnov's chess thinking system. This will be useful for 1300-1900 FIDE rated players in our view. But the basic thinking process is useful for all players and is the foundation for other courses. 2. The Grandmaster's Openings Laboratory: This course discusses the openings yet unrefuted even at the highest levels (International Super GM levels). 1300-2000 FIDE rated players will find it useful as per our view. However, if opening is your area of concern, this is the course for you. 3. How to Beat Titled Players: This is a high level course. If you plan to be a GM or an IM in a year or two, and finding difficulty in defeating or drawing with GMs/ IMs, this course will help you immensely. We think 1600 - 2200 players can take full advantage of this course. But others also can plan fast development with this course. 4. 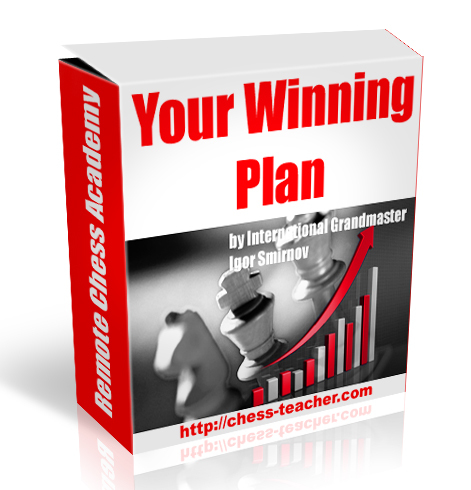 Your Winning Plan :This is a very good course for middle-game strategy. This will be very useful for you if you find difficulty in getting the most suited middle-game plan for you after opening. GM Igor demonstrates that during a chess game you have to formulate a plan after opening, during middle-game and after middle-game also to proceed towards favorable end game. Thus at 3-4 times, you need to devote time to formulate or adjust a plan to beat your opponent. In fact, your plan shall be adjusted taking any pawn move by your opponent. 5. 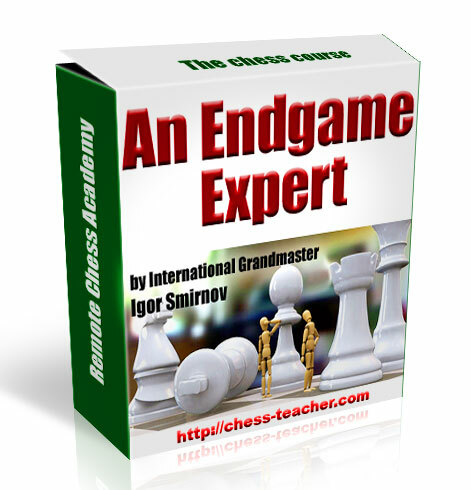 An Endgame Expert: This is the best course by GM Igor Smirnov and the best for Middle to endgame strategy which can be found in our view. However, you need to be conversant with basic endgames to take advantage of this course. 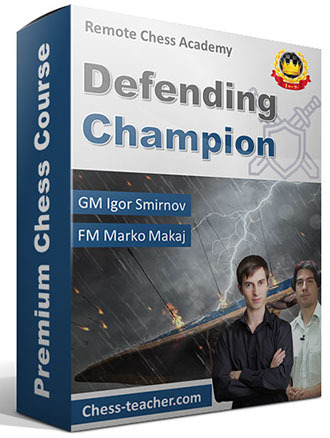 All the players in 1500 - 2400 FIDE rating range can find this particular course very useful. 6. 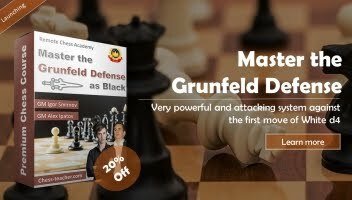 Self-taught Grandmaster: This course provides a complete road map from beginner to Grandmaster. Videos are mostly instructions about how to study chess rather than chess games or strategies. The course presents a three step process. 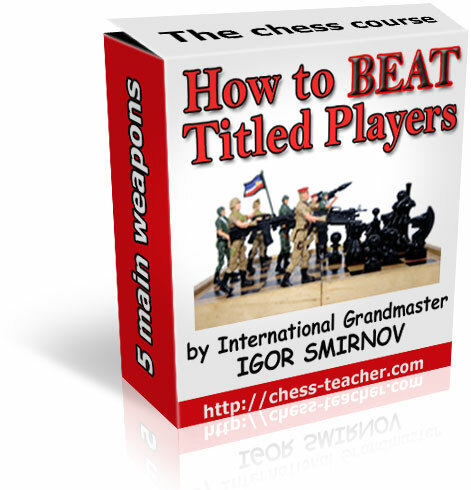 Step 1 will bring a quick 300 FIDE rating progress in your games following attacking methods. Then Step 2 will take you to a strong player level. Step 3 will make you titled player. Author provides 200 annotated games in practical section and also provides a database of around 1 lakh computer chess games to learn from. At many places, this course refers GM's other courses and other writer's books or other websites. 7. 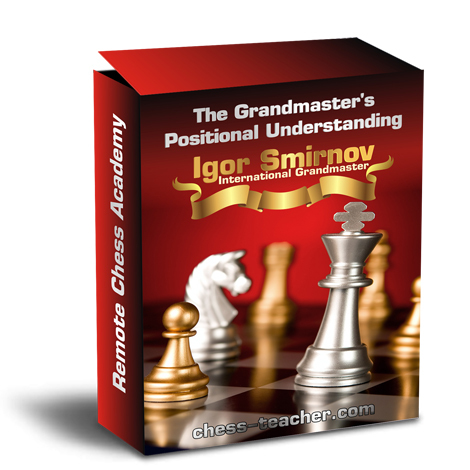 The Grandmaster's Positional Understanding: This course takes a chess player's positional chess understanding to a very high level. 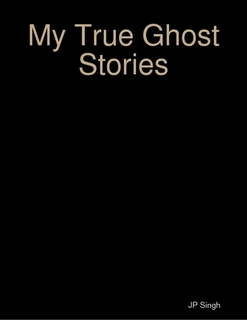 It consists of 7 video lessons. First three lessons provide a new framework of positional chess to be kept deeply in your mind to reach high levels in tournament chess. 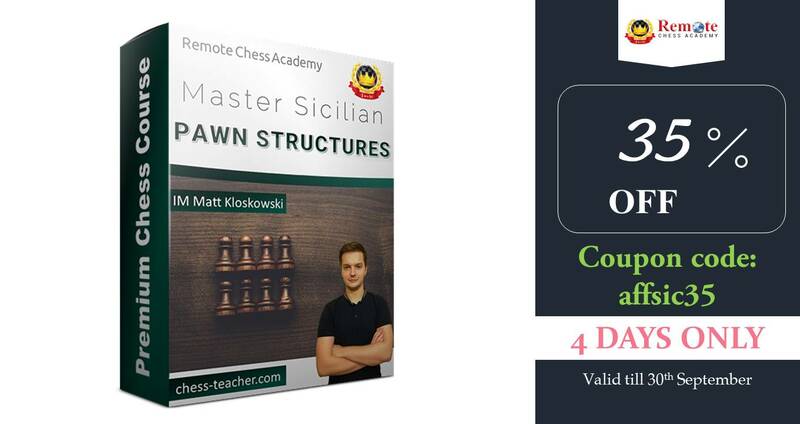 Lesson 4 is the longest one on "Pawn Structures" and explains almost everything about pawns in chess. Lesson 5 is on "How to use your one bishop effectively". 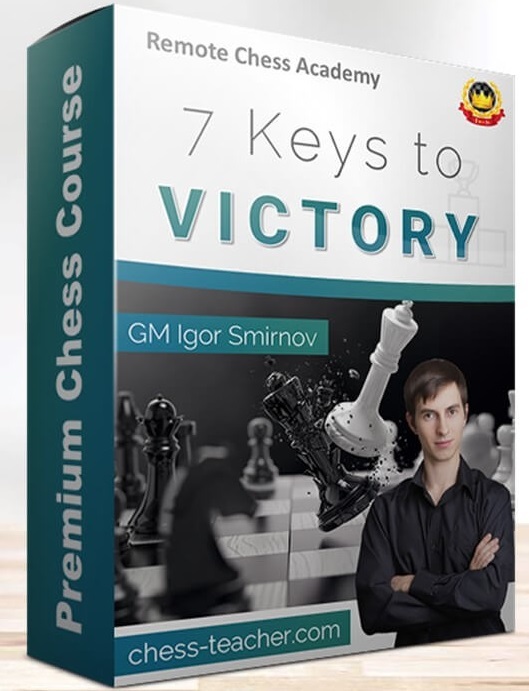 GM Igor Smirnov puts all his knowledge and experience in producing a masterpiece chess lesson on bishops. Lesson 6 is on "Bishop Pairs". This lesson describes why a bishop pair is so precious. Lesson 6 also discusses the eternal question "Bishop vs Knight". GM Igor clearly describes why Bishop is better than knight in most chess situations. However, in some specific situations knight is more powerful than bishop and how to avoid such situations in case you have a bishop and opponent a knight. Lesson 6 also compares bishops with other chess pieces. Lesson 7 is the concluding one enhancing the overall framework by discussing other chess pieces. The best part of this course is live examples selected to demonstrate the positional concepts. GM Igor keeps you on toes while demonstrating the positional concepts actually working in high level games. And the exercises (234 in total) are of very high level. 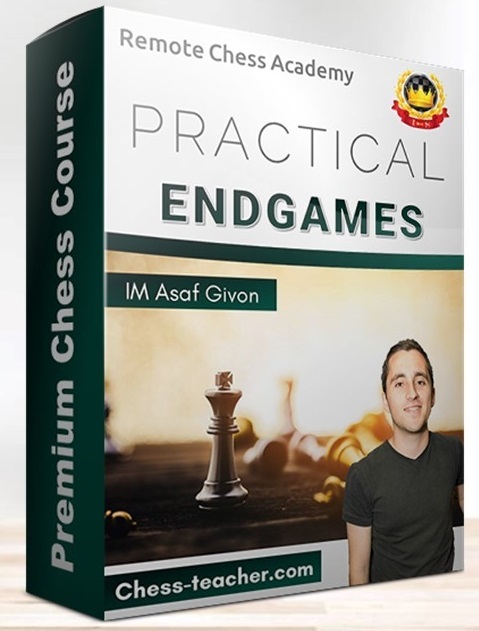 For most beginners/ intermediate players (1200 - 1900 FIDE ratings), this course is the best route to reach advanced levels (2000 - 2500 FIDE ratings or IM/ GM titles). After going through this course, a chess player can clearly understand why a GM has made a certain move in a game. Well ! 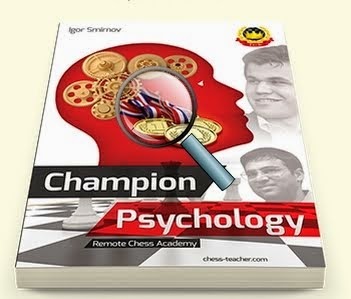 you can say that other chess courses and books also discuss these positional themes but what we have found that GM Igor Smirnov explains them with a lot of clarity and his examples are accurate and to the point. 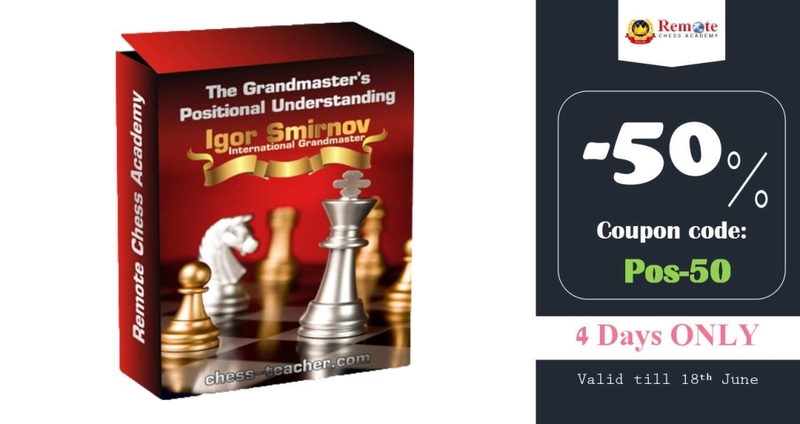 The framework presented in this course looks like a mathematical one where in each situation an exact move can be found out based on positional rules. 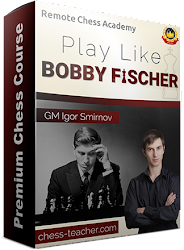 Overall, he provides a complete system of positional thinking in this course which you can actually use in tournament chess. 8. 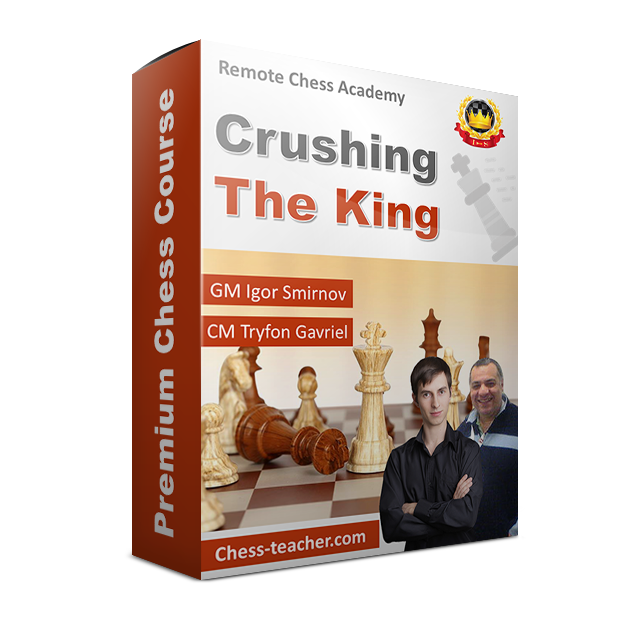 Calculate Till Mate: This course brings the other aspect of chess - Tactics, Calculations & Visualizations. It will work well in conjunction with the course no. 7 Positional Understanding but it can be studied separately also. GM Igor explains that when your pieces are not in contact with your opponent's pieces or you want to improve your position, positional principles help but as soon as your pieces come in contact with the opponent's pieces and you want to demolish your opponent's position, the course "Calculate till mate" will help you. The level of this course is very advanced yet very easy to understand. The videos are very clear and exercises are wonderful. It is truly enjoyable course. Full advantage of GM Igor's courses can be taken after watching his video lectures several times and solving all the exercises. But if you can give 2-3 hours daily to GM Igor's courses, they can take your FIDE rating to 2300 easily in 2-3 years. GM Igor's chess knowledge is no doubt superb. All paid courses are software locked, so can't be downloaded or used free from any other sites. However, GM Igor is very honest and slight patience in dealing with downloads and software locks solves all problems and makes your chess progress a smooth and pleasant experience. (top 14 games open in text format or pgn format only, online game viewer is available for other 24 games) to get a better understanding of his system of thinking. Know the openings yet unrefuted even at highest levels! The basic methodology GMs apply ! Copyright - Ahead Incorporations: Just Go Ahead !. Ethereal theme. Powered by Blogger.